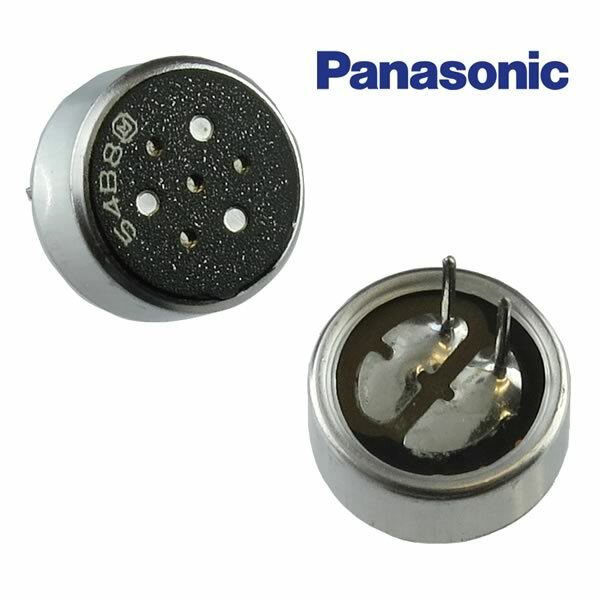 Omnidirectional electret condenser microphone cartridge by Panasonic has a frequency range of 20Hz~16kHz. Impedance is 2.2kOhms. Sensitivity is -44dB ±3dB @ 94dB SPL. S/N Ratio is 60dB. Operates on a voltage from 2.5V~10V and a supply current of 600uA. Size is only 0.382" (9.70mm) diameter x 0.177" (4.50mm) tall. Has 2 PC pins for easy hookup.